The jacket compares this to William Goldman’s The Princess Bride, and it is easy to see some resemblance. Both are fantasy stories in which the author speaks directly to the reader for humorous intent. 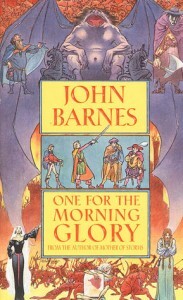 The device of the book within a book in The Princess Bride allows Goldman to comment on the story itself; Barnes has his characters comment on it, as they realize that they are part of a tale. Post-modern fantasy. Whowouldathunkit. And it works for the most part. 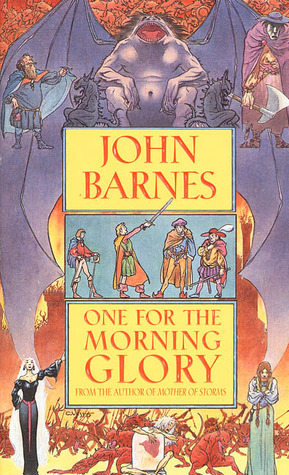 Barnes deconstructs the typical fairy tale through his self-aware characters, yet also makes these same characters empathetic and keeps the tension of the story itself tight. Although you know that you are reading a story, you wonder just how much this new tale will fit the traditional, or if the author will suddenly veer off into unexplored territory. At its heart, the story is still your basic fantasy plot, and, unfortunately, no amount of tricks can avoid the fact that you’ve read this all before. The Princess Bride succeeded because it exaggerated the standard cliches, making everything stand out as in bas-relief to the flat irreality of the normal story. Goldman’s fondness for the genre kept it light, rather than ponderous and heavy-handed. Barnes starts off well, and there are brief flashes of brilliance, but most of the time his post-modern experimentation takes a backseat to the plot. It thus feels schizophrenic. I like what he was trying to accomplish, though.